There has been an ongoing debate for many years among sports fans about whether or not the WWE is real or simply a hoax. It is something that has been debated for a long time and people seem to struggle to find a good answer to this question. In an article published in 2012 on the Huffington post, they explain how many aspects of the match are predetermined. Some of the main things in particular they mention are how the wrestlers protect/assist each other, how the referees help fake injuries, and how the outcome of the match is entirely predetermined. Although there are some people who do think the WWE is actually real, Huffington post seems to have some very convincing arguments. It is believed that the referee can sometimes slip wrestlers a razor blade to make the audience think he is seriously inured. In this slow motion video link below, wrestler Kurt Angle is caught cutting his forehead with a razor blade while acting like he is injured. https://www.youtube.com/watch?v=Ybg4P6_ZMOc This video shows clear proof of how the WWE is staged and rules out any form of chance because we have visual evidence. Another aspect believe to be staged is how the wrestlers are said to protect each other. In this next video, you can see in slow motion how super star John Cena pretends he is going to hit his opponent Randy Orton but in reality he actually barely touches him. https://www.youtube.com/watch?v=IcN16bmkSWU This video us just another good example of how the WWE stages their fights. Although people still do dispute over whether or not the WWE is real, there seems to be some pretty good evidence to support that it is staged. Although it would be inaccurate to say that every part of WWE is staged, for the mot part is it evident that what happens during the match is determined before the first punch is thrown. I believe from the evidence shown it is much more likely that it is staged as opposed to a real match. I also think this study may have suffered from the file drawer problem in the past, but as of more recently we have seen much more evidence come up that can give us a much more clear answer to this question. This entry was posted in Uncategorized on December 5, 2014 by Gregory Joseph Macqueen. “In the Nurses Health Study, involving more than 77,000 women in the United States, those who consumed at least one serving per day of apples and/or pears had a reduced risk of lung cancer.” In addition to this study, there was also another study performed in Hawaii that proclaims the intake of an apple and onion has a link to reduced risk of lung cancer. Statistics later came out in an observational Women’s Health Study of around 40,000 women sowing that by eating an apple each day they can reduce their absolute risk of cardiovascular disease by 13-22%. Doctors believe that apples contain some of the antioxidants that help your body to fight off cancer and cardiovascular disease, but have also been seen to prevent heart disease, tooth decay, and brain disease. Dating all the way back to the late 19th and early 20th century, this old wives tale seems to be very widely accepted among doctors and researchers. Apples serve as a great source of vitamin C and antioxidants that are important to maintain a healthy body. From the studies I have looked at, I think it is very reasonable to say that a rational person should consider adding apples into their diet. It is a relatively easy thing to add in and can provide your body with a plethora of health benefits. By eating just one apple a day, especially if you’re a woman, you can greatly reduce your risk of developing cardiovascular disease, along with many other illnesses. Although chance is always a factor, I believe the conclusions that were drawn are very credible because of the large quantity of participants that were observed. 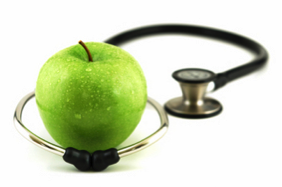 We can see that this study does reject the null hypothesis that “an apple a day does not keep the doctor away.” So make sure to add an apple into your diet it could make a difference! This entry was posted in Uncategorized on December 4, 2014 by Gregory Joseph Macqueen. Do School Uniforms Affect Academic Performance? From 1st grade all the way until 12th grade I attended catholic schools that required a uniform in the dress code. I never really understood why we had to wear them but some people insisted it was because dressing nicer improves academic performance. Is there actually some truth to this claim or is it simply a myth? From the articles and information I have gathered, it seems that there are very mixed results. In an article on channel 19-action news, they discuss a study that was done on 6 big city schools throughout Ohio on whether or not uniforms have an impact on students’ behaviors. Researcher Virginia Draa found that implementing a uniform policy in schools did not have any impact on academic performance, but it did play a role in other areas. Draa found that overall, graduation rates rose an average almost 11% in schools that implemented uniforms as opposed to schools without uniforms that saw a drop of around 4.6% in graduation rates. Other things that uniforms seemed to impact were attendance and expulsion rates. In uniform schools attendance increased 3.5% in four of the schools while it decreased in two schools. Expulsion rates declined by almost 1 student per every 100 students in that span. Because that number is so small, I believe that number could have been due to chance. From all of the articles I have read, including this one, it seems that academic performance was not really affected by whether or no students wore a uniform; therefore it would not be reasonable to say that wearing a uniform has any impact on how kids will perform in school. Because there is no effect, the null hypothesis that uniforms do not have any impact on academic performance would be accepted. Although it did no affect academics, it did seem to improve other important issues such as attendance, graduation rates, and expulsion rates. Just as Virginia Draa noted, the conclusions drawn were limited due to the size of the study. Although 6 different public schools contain a lot of students, a much larger study would be necessary in order to conclude more accurate results. But for now you might as well throw on the sweatpants and t shirt because it won’t make a difference! 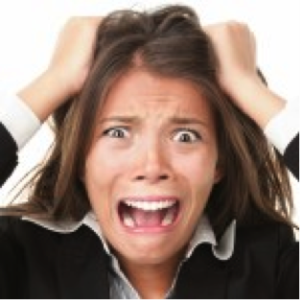 A controversial topic among scientists is whether or not stress can cause cancer. As we near the end of the semester and begin to study for finals, is this something we should be worried about? It appears that from the evidence we have so far, we might be okay. Studies by uniformed services university of health sciences found that the “evidence that stress can cause cancer is weak.” (cancer.gov) They go on to say that stress can lead to a variety of bad habits such as smoking or drinking that could lead to cancer but those are indirect causes. Although some people argue that stress does cause some kinds of cancer, there is no evidence to date that can prove it. Even though we do not have evidence that stress has a direct correlation to cancer, researcher Dr. Ron Glaser at Ohio State university performed studies that showed students under pressure seemed to have “slower healing wounds and took longer to produce immune system cells.” (psychcentral.com) Stress may not be a direct cause of cancer but it does seem to have an effect on our bodies. Other studies show that although stress doesn’t cause cancer researchers believe it may be involved in helping cancer spread. According to the cancer.gov web page, “Evidence from experimental studies does suggest that psychological stress can affect a tumor’s ability to grow and spread.” Researchers believe the master gene ATF3 that is used to help genes adapt to stress could be involved in helping cancer spread throughout the body. Research shows that cancer cells are able to switch on ATF3 in immune cells, causing the cells to malfunction and allow tumor cells to escape to other parts of the body. Although some researchers do think there is a link between stress and cancer, we have no evidence to date that can prove this connection. The absolute risk in this scenario could potentially be death depending on the severity of the cancer, but we really have no way of completely avoiding stress in our lives. We would accept the null hypothesis here that stress does not have a direct correlation to cancer. In order to come to an accurate conclusion we would need to see more data and take into account a plethora of third variables. This entry was posted in Uncategorized on December 3, 2014 by Gregory Joseph Macqueen. Most people today are familiar with the old wife’s tail the “five second rule.” That rule we learned when we were young where if we drop a piece of food on the ground we have five seconds to pick it up before it becomes “un-edible.” I know personally I always use this rule even though I know it might not be true. It appears though that there might actually be some scientific evidence to back this theory up. In their results, they concluded that, “time is a significant factor in the transfer of bacteria from a floor surface to a piece of food.” They also concluded that it also depends what type of food and what surface you drop it on. 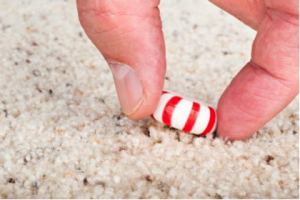 It appears that if you drop food on a carpeted surface, bacteria is much less likely to transfer from the carpet to the food. They also found that if you drop moist foods on either tile or laminate surfaces for more than 5 seconds there is a much higher risk of bacteria transferring to your food. Overall, I think this experimental trial does show that there is some truth to the “five-second” rule. Chance is always present so for that reason we cannot be absolutely certain that this theory is true but the results do reject the null hypothesis that the five second rule is only a myth. We do not know the absolute risk of eating a piece of food after five seconds but we do know there is increased relative risk involved. If a piece of food (especially moist) were to be dropped on the floor, a reasonable person probably should stay away from eating it after five seconds. Is the Freshman 15 Real? The transition from high school to college is a very big change for most people and we’ve all heard of the infamous “freshman 15.” As a senior in high school I had given this very little thought but as I am now approaching my 5th month here at state college, I am starting to realize that maybe there is some truth to this. As popular as this phrase has become, is it actually true, or is it simply a myth? In addition to the freshman year, they also did a larger study that focused on the weight gain throughout all 4 years of school. They found that on average females gained 7-9 pounds while males gained 12-13 pounds. They found that the most common cause of the weight gain were the people that said they had 6 or more drinks at least 4 days every month. 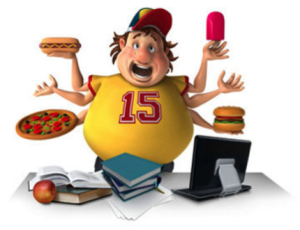 They did mention that some other variables such as exercise, healthy eating habits and sleep could also play a role in the freshman 15. I think overall this was an okay study but it could have been better. Correlation does not equal causation. Just as sleep could have an affect on GPA, GPA could also affect sleep habits. If a student has a low GPA and they need to improve their grades, they may sleep less to study more. Also, they could have improved this study by controlling 3rd variables such as exercise, amount of sleep, and eating habits to ensure more accurate results. Although chance is always present, from this study it appears that the freshman 15 is merely a myth for majority of people. My name is Greg and I’m from Pittsburgh, Pennsylvania. I am currently enrolled in DUS but I plan on eventually becoming a Finance major. The reason why I decided to take this course is because I needed to fulfill my science requirement and the class description for sc200 seemed very interesting to me. Science has always been intriguing to me, but I have chosen to take the business route because I feel it better suits my personality and interests. In my picture below, I have chosen show the city of pittsburgh…the city of champions. Love my city. This entry was posted in Uncategorized on August 31, 2014 by Gregory Joseph Macqueen.